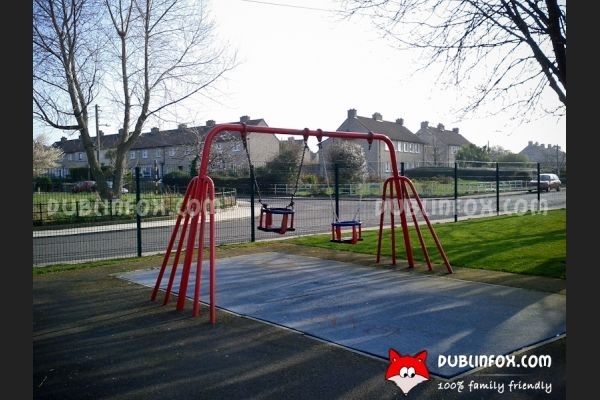 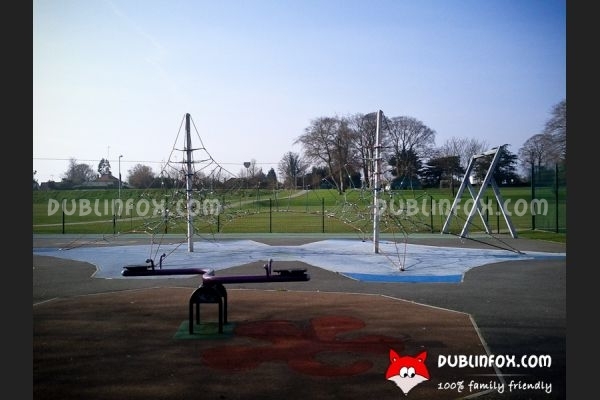 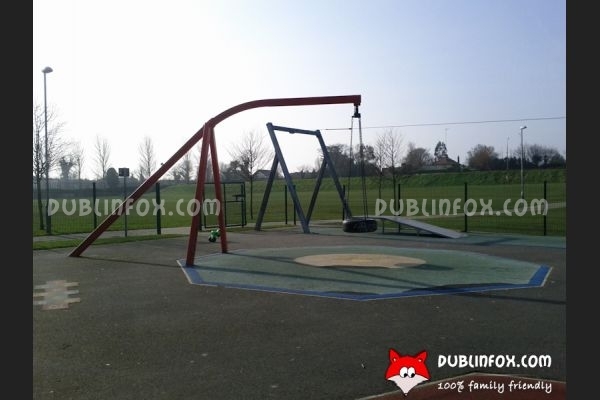 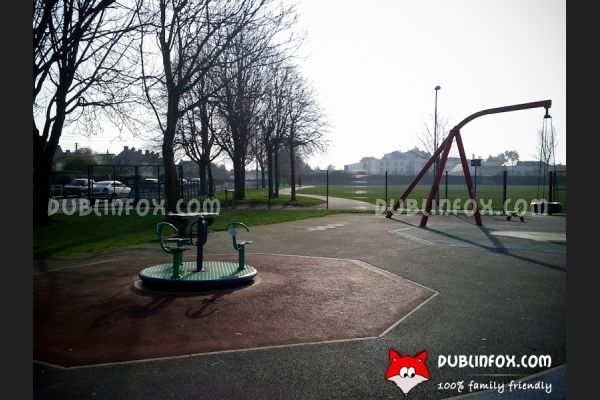 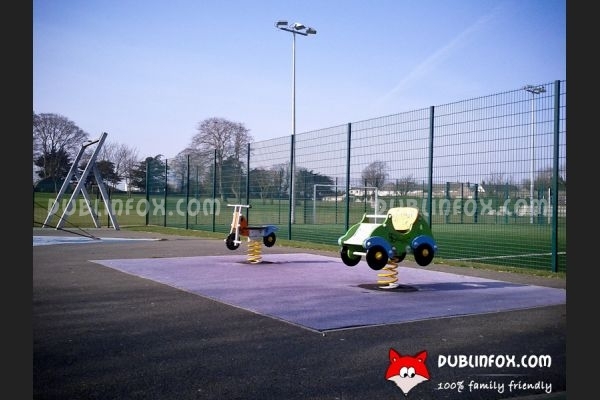 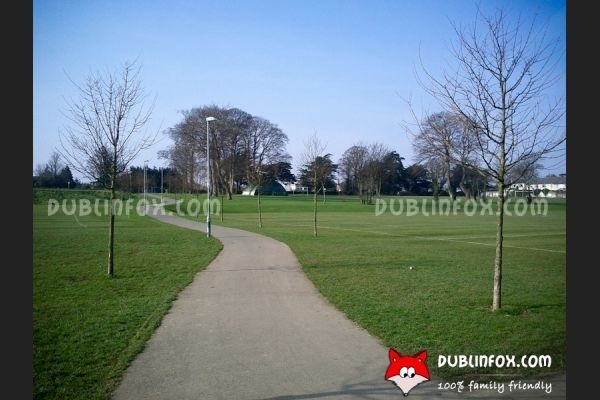 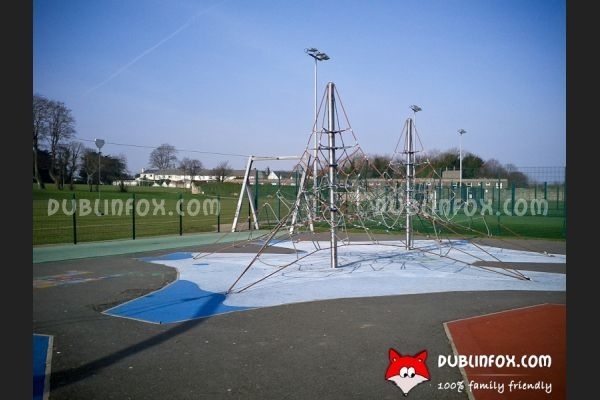 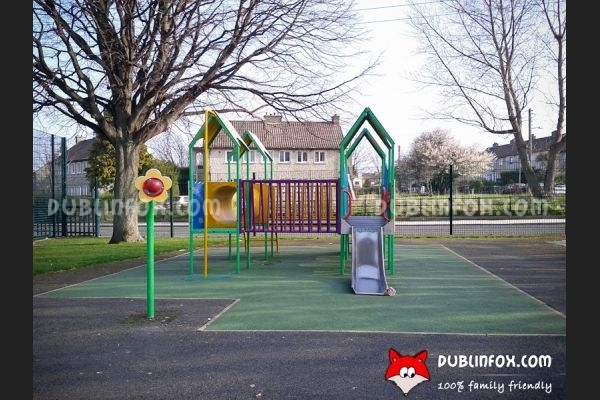 Sallynoggin Park is a quiet, friendly park in the southern part of County Dublin. 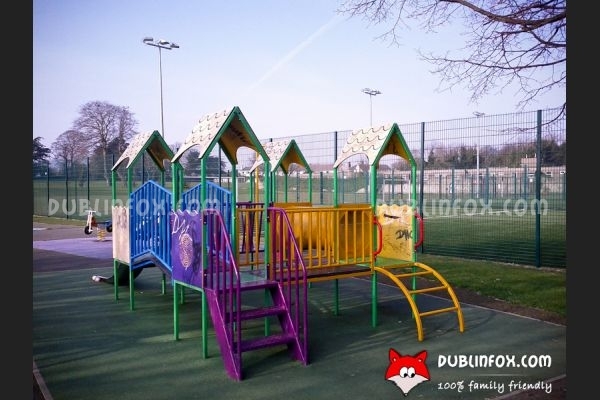 Its playground is relatively small, but well-equipped. 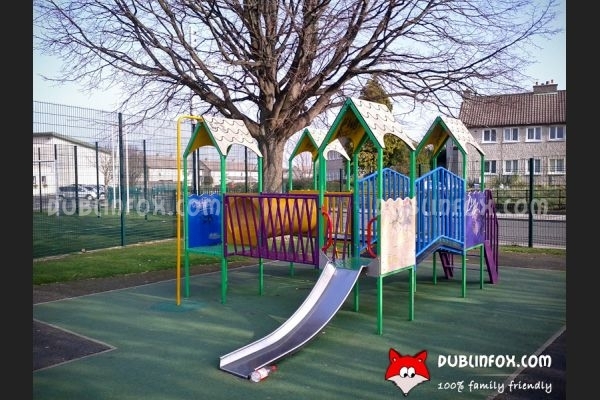 For toddlers, there is a safe multi-play unit with a short slide, two baby swings (one of them is a bit dodgy), two springers, a see-saw, a merry-go-round and a pair of talking tubes, while older kids can use a long-long zip wire, a unique single-point swing and can climb up a massive spider web. 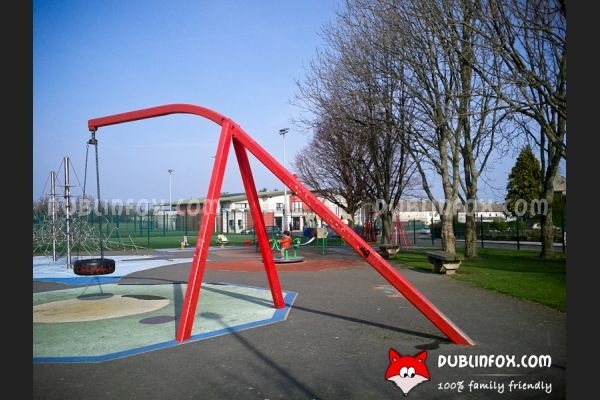 (Unfortunately there is no "normal" swing on the playground.) 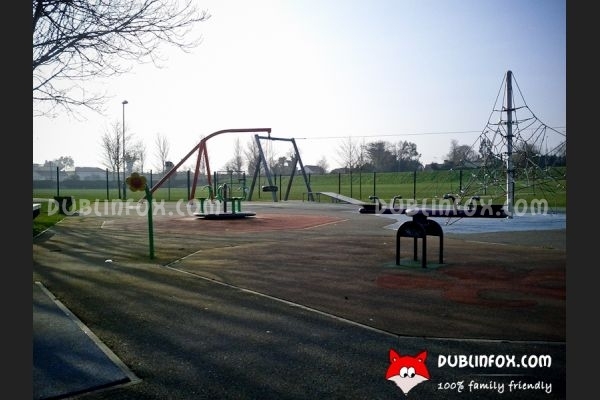 Next to the playground there are several playing fields and pitches to choose from, so at weekends and in the evenings the park is much more alive than on a sleepy morning.